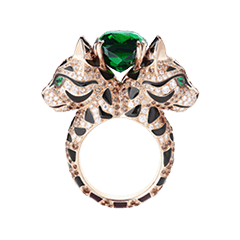 Both protective and precious companions, animals transform into jewels and come together to form a jewelry collection that is rich with creativity and vibrant with emotion. Nature has been an endless source of inspiration for Boucheron since the Maison’s foundation in 1858. Its diversity, aesthetic ideal and wealth of symbolism have over time inspired creations that are as diverse as they are remarkable. This unique vision of Nature Triomphante has made it a decisive influence in the Maison’s history. 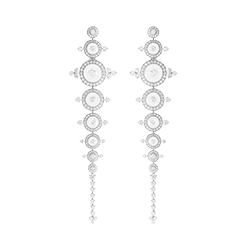 The Couture collection is inspired by Haute Couture – a theme to which Maison Boucheron returns time and again. 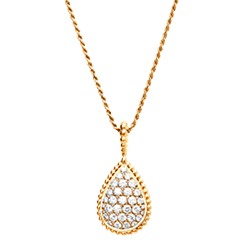 It features chains and drop earrings, with pavé-set diamond fringes that sparkle at the slightest movement. 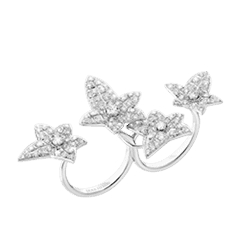 The diamonds appear to float in mid-air thanks to the use of the special serti aériensetting, a technique invented by Boucheron. 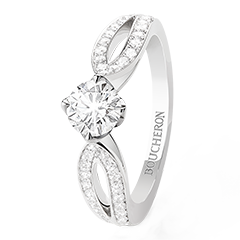 Whether in geometric perfection of design or in the purity of its Art Deco lines, Boucheron has always displayed a passion for abstraction. 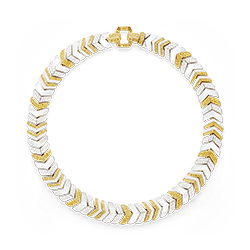 For nearly 160 years, Boucheron's inclination for correct proportions, noble structures and majestic forms has influenced the artistic creation of its jewelry. 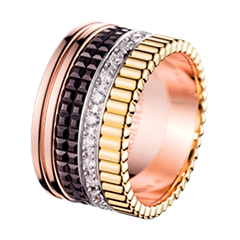 For 160 years, the Maison Boucheron has been breaking free of trends to create unique and surprising collections. 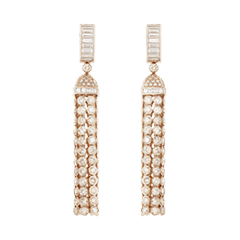 Boucheron’s timeless pieces transcend fleeing time and go through the ages without losing an ounce of their power of fascination; they perpetuate the Maison’s long history and avant-gardist philosophy. 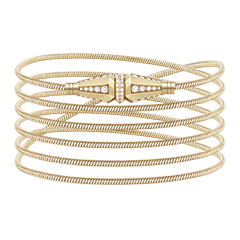 The glaring stones, flowing shapes, and elegance of the compositions bestow a touch eternity on these timeless pieces.